From SIRI to driverless cars, Artificial Intelligence is the booming technology that enables machines to perform some cognitive tasks with same or even better efficiency than human beings. 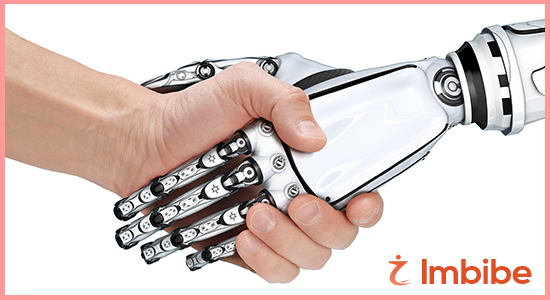 Be it as simple as greeting a guest to performing dangerous and laborious tasks that humans find nerve-wracking, AI can do it all with great efficiency. Recent years have witnessed an incredible growth in the technology. What sounds to be little crazier and overambitious in the 60s, when the concept of AI was first conceived, AI is now somehow a reality. Artificial Intelligence is the hottest thing going on in tech right now and has given birth to so many transformative milestones- self-driving cars, humanoid robots, speech synthesis and recognition systems and 3-D technology are among others. AI-enhanced machines have advanced the way we live and conduct commerce. AI involvement is not limited to just toll collectors and humanoids who can play chess or solve equations, but with continual improvements to machine intelligence and robotic skills, AI has entered the fields of medical science, law, engineering and automation. And these are not the crowning achievements of technology but just a beginning. Apparently, we will see more and more such wonders in the near future that would completely change our lives and our lifestyle would become inseparable from such innovations. Before the inception of digital era, businesses used to use manpower to get their operations done. Then, as the technology overtook businesses, people started using it to advance their productivity and efficiency by automating their work. And now the dawn of new era- Artificial Intelligence has evolved, transforming nearly every industry ranging from transportation and utilities to defense and facility operations and more. The most dominant area, however, is undoubtedly the manufacturing sector. With many required operations that are highly recurring in nature and the ones that need deep decision-making and problem solving ability, the creation of automated machinery has better efficiency and also led to an improved level of quality control. With the arrival of each technology, new job opportunities evolve and contribute to improved standard of living. This might not be the case with artificial intelligence. Artificial Intelligence has replaced a significant number of both blue and white collar workers, with many people expressing their concern that this has resulted in vast salary differences between low and high skilled workers as well as affected the employment rate. Though AI has the power to boost human progress as well as a potential to outdo humans but this does not mean that the future will be all about the virtual world. Looking at the way humans do things and then comparing them to the ones done by AI-enhanced machines, it is safer to say that human brain will always remain the sole power. Smart machines will still need smart brains. In fact, the best solutions are always going to come from minds and machines working together. A balanced combination of both humans and artificial intelligence has a potential to create a system that is smarter than both as an individual. Cracking jokes, exhibiting emotions and detecting sarcasm are beyond the capability of machines, but with such an unprecedented growth, however, an intelligent machine could be our partner in dealing situations, especially ones that require logical thinking and fair judgment.